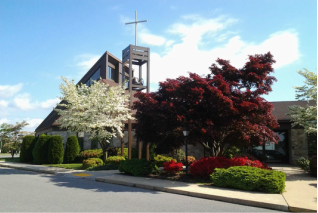 If you live around the Reading, Pa Muhlenberg Township area consider a visit to Good Shepherd Evangelical Lutheran Church. It is a very active church with lots of great youth and family activities as well as opportunities for older people. Alive in Christ, the members of Good Shepherd are inspired to live out our faith joyfully and boldly, and to be responsible for promoting God's will as we live together in the community of the people of God. Located in the midst of a thriving residential suburb just north of Reading in the 19605 zip code, in a multi-faceted building that makes possible a broad range of ministries, we strive to bring God's love to those we serve. Our efforts are designed to respond particularly to the needs of the children and youth and the senior citizens living in our community; but there is something for everyone at Good Shepherd. We invite you to come to our website often to learn more about us. Get to know where to find us. Sample the events and activities that make up our church calendar. If you have questions, please call 610-926-4201 leave a message and we'll get back to you as soon as possible. Even more, we'd love to have you come join us in person to get to know us even better. Please introduce yourself and give us the opportunity to know you and help you feel at home at Good Shepherd. We'd be honored if God should inspire you to make Good Shepherd Lutheran your church home, and to join us in God's mission in this place!